Elon Musk is in real trouble with the SEC. There are two organizations you don’t ever want to have to go answer to the IRS and SEC both of them can make your life a living hell. Elon is about to have his hands full and will be lucky when it is all over if he is still in charge of the company. I have mentioned in a previous show that we need to keep an eye on him. One thing the government loves is targeting big companies. Especially when they cost the investors money. I have some new support initiatives that I explain during the show Amazon Business, Amazon Offers and my health supplement recommendation page which will continue to expand and I will do some videos on how I use my supplements and in what order. 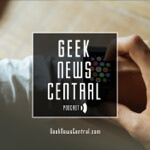 The post Elon Musk Trouble with SEC #1316 appeared first on Geek News Central.